Custom Project Description: The client needed a report and case studies exploring how the cloud and new HR-related cloud applications were impacting global small and medium-sized businesses (SMBs), particularly in the area of recruiting. 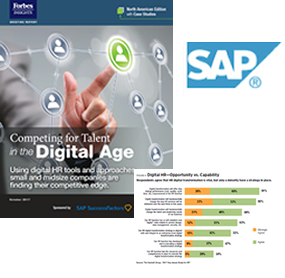 The hypothesis going in was that such applications and their ease of deployment could be helping to level the playing field with enterprise-sized companies that have typically had much bigger budgets to allocate toward building their own sophisticated HR platforms. The Result: Triangle, in collaboration with Forbes Insights, created a special North American version of the original global report on this topic. In addition to the original research and interviews with company executives, this North American version featured two in-depth case studies with North American companies where their management discuss the challenges, benefits and lessons learned. To read the report, please contact Triangle Publishing Services President Paul Pinella. 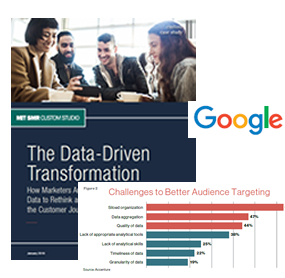 Custom Project Description: The client needed a report and case studies to explore how marketing analytics are helping organizations uncover insights to help reduce wasteful spending, deliver more value to their customers, and ultimately increase revenue. The Result: Triangle, in collaboration with MIT Custom Studio, created a special report on the benefits of integrated marketing data, and how to go about acting on unique insights the data provides. We conducted research and talked to top marketers who are building a data strategy. This reports presents their stories, frameworks, and best practices to help others undergoing transformation. To read the report, please contact Triangle Publishing Services President Paul Pinella. Custom Project Description: The client needed a case study on how organizations can better leverage social media, using these tools to help customers, not to deliver advertising messages. Hint: It requires a whole new way of thinking about customers. 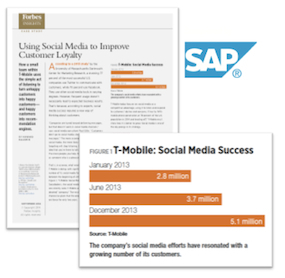 The Result: Triangle, in collaboration with Forbes Insights, created a case study based on original research and interviews with company executives, as well as leading academics, consultants and authors, that discusses the challenges, benefits and lessons T-Mobile learned. To read the report, please contact Triangle Publishing Services President Paul Pinella. 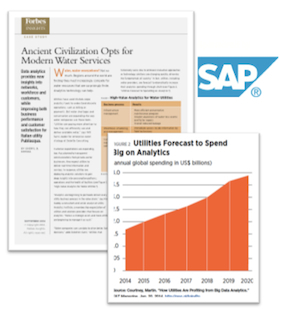 Custom Project Description: The client needed a case study on how utilities are deploying analytics solutions to gain deep insights into consumption patterns, operations and the health of facilities. Using data analytics and its ERP-based infrastructure helps Publiacqua better manage its workforce, deliver near instantaneous business insights and improve its customer service. The Result: Triangle, in collaboration with Forbes Insights, created a case study based on original research and interviews with company executives, as well as leading academics, consultants and authors, that discusses the challenges, benefits and lessons Publiacqua learned. 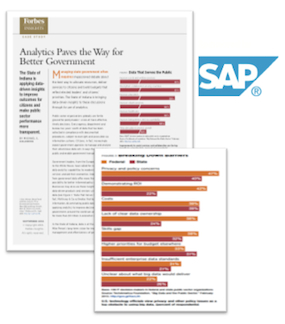 Custom Project Description: The client needed a case study on how the public sector can determine the best ways to allocate resources, deliver services to citizens and build budgets that reflect elected leaders’ and citizens’ priorities. The Result: Triangle, in collaboration with Forbes Insights, created a case study based on original research and interviews with company executives, as well as leading academics, consultants and authors, that discusses the challenges, benefits and lessons the State of Indiana learned. Custom Project Description: The client needed a case study on how organizations can use analytics, in-memory computing and real-time data to improve everything from back-office systems to product development and manufacturing. 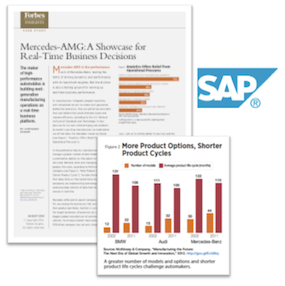 The Result: Triangle, in collaboration with Forbes Insights, created a case study based on original research and interviews with company executives, as well as leading academics, consultants and authors, that discusses the challenges, benefits and lessons Mercedes-AMG learned. Custom Project Description: The client needed a case study on how travel and hospitality organizations can adopt predictive analytics and real-time business capabilities to improve the guest experience and ensure operational efficiencies. 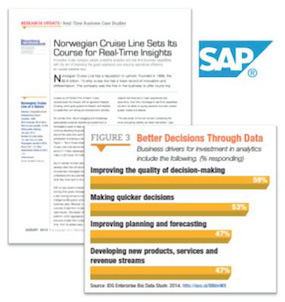 The Result: Triangle, in collaboration with Bloomberg Businessweek Research Services, created a case study based on original research and interviews with company executives, as well as leading academics, consultants and authors, that discusses the challenges, benefits and lessons Norwegian Cruise Line learned. Triangle Publishing Services Co. Inc.